CRITTER TEES AND GIFT CARDS!! Can't make up your mind? 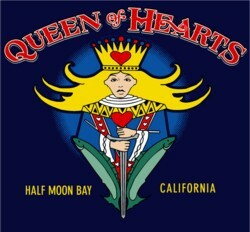 Queen of Hearts Gift Cards are the perfect idea for that hard-to-buy-for person. These durable plastic cards are credit card size and fit easily into a wallet until ready to be used. 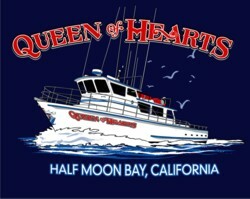 They may be used to purchase any of the items the Queen of Hearts offers: fishing trips, whale watching trips, fishing licenses, tackle, or any of our awesome Queen of Hearts apparel! Gift cards can be mailed to you or, if you'd prefer, direct to the recipient along with a Queen of Hearts brochure. Not sure of the amount to purchase on a gift card? Just call or e-mail and we'll be glad to offer suggestions. Enter the dollar amount you would like purchase, the card style and, if you would like us to mail it directly to your recipient, fill in their name and address, and click the button "Add To Cart". Enter the quantity of Critter T-shirts you would like to purchase in the box next to the type of shirt you would like, choose your size and click the button "Add To Cart".